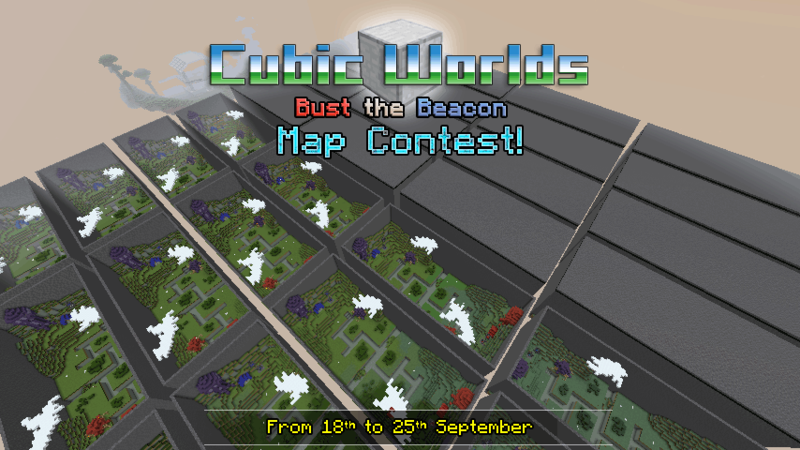 Home Cubic Worlds Bust the Beacon Map Contest! Bust the Beacon Map Contest! If you enjoy our Bust the Beacon events but are finding the same old maps a bit tiresome, here’s your chance to design a new generation of warzones for the forces of Colonel McStevington and his mysterious nemesis! You can take part by visiting the Tesseract Portal Tower and heading to our Contest world. Once there, walk straight ahead and leave the arrival hall. To your left you’ll find signs to change your game mode. Switch to Creative and get building! The full details can be found in this forum thread. Good luck and happy building!